“What is it about her management that is so bad?” I asked. I feel for Rennie. 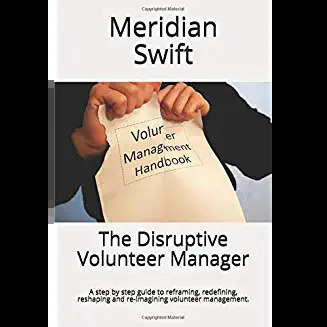 Her senior manager seems to have been sleeping during management 101, which got me to thinking about volunteer managers. Where are we in the management curriculum, if 101 is your basic course? 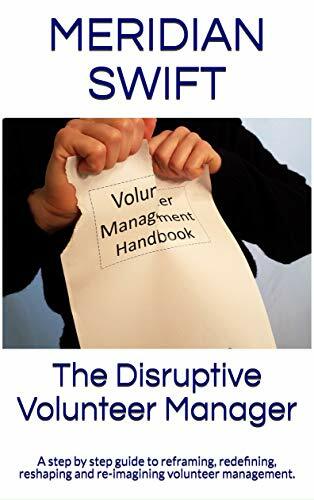 I’m thinking that the vast majority of volunteer managers passed the first five years and are completing management 601 on the way to a master’s degree. Why do I think that? Well, I’ve compiled a list of the skills we have honed by working with volunteers. Here’s just a few of those skills: See if you agree. Volunteer managers have mad leadership skills. We inspire, encourage, cultivate and mentor people. We believe that our volunteers will do amazing things and we develop their strengths instead of focusing on their weaknesses. Volunteer managers immerse themselves in outcomes. We keep statistics and prepare reports, but our bottom line is always about the human results. Because our eyes are on the work of the mission, we instill the joy and meaning of helping in our volunteers which creates excellence. When our volunteers do pure work, the stats and reports just naturally follow. Volunteer managers think “in the long run” terms. We build teams for long-term help, and not just for today’s assignment. Our hard up front work is meant to retain satisfied volunteers. Because we can’t just hire a replacement for a volunteer who quits, we make sure that our existing volunteers have what they need to succeed. We don’t “use” volunteers, but rather, we support them so that they remain committed to our cause. Volunteer managers stimulate growth. We are open to new ideas, new ways to help our clients and routinely look to recruit people with diverse backgrounds and fresh ways of doing things. Volunteer managers are expert mediators. We are the middle men in almost every assignment. We negotiate between clients and volunteers, and volunteers and staff. We quickly learn the art of persuasion, and the ability to deliver a negative message without hurting feelings. We are skilled at compromise to get jobs done. Volunteer managers operate with clarity. We know we will not keep volunteers if messages and instructions are not clear, so we frame every instruction so that it is clear. We know that muddied messages can ruin a volunteer experience and cause the volunteer to quit. Volunteer managers are critical thinkers. We have to meet challenges in a timely manner and so we have highly developed problem solving skills in order to succeed. We keep file cabinets full of pertinent information in our minds and databases so that we can cross think to find the best solution to any volunteer involvement. We can offer the best volunteer for a job, because we know that volunteer’s skills and abilities and can match those to a situation. Volunteer managers are chameleons. We can adapt and change quickly. We know what tone to take and can switch from light-hearted to serious in a moment as the situation warrants. It’s silly, but we are kinda like the Christmas tree lights with so many different settings and we’re constantly on the “all” setting so that we can fit into any mood. This list is just a portion of the skill set possessed by volunteer managers. There are so many more and unlike our compatriots in human resources, we must develop and use many more people skills to recruit, lead and keep our volunteers. People ask what is our volunteers’ substitute for a paycheck? We say that it is the meaningful work that keeps our volunteers coming back. But also, please remember, that in part, it is the vast skill set of the volunteer manager that fills the void of not receiving a paycheck. Instead of monetary compensation, our volunteers receive a meaningful volunteer experience thanks to the leadership of volunteer managers who are constantly growing in skills to help make that meaningful experience happen. Great post Meridan. The Senior Manager is nothing but a workplace bully, and needs to go back to Mgmt 101. Or else, get some coaching from managers of volunteers. 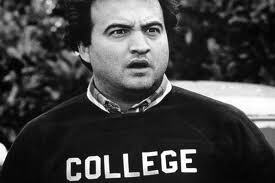 Let’s start talking more about our 601 credits, which many of us have acquired from experience. We can be ‘Masters’ without the degree, can’t we? Hi Sue! I truly believe that leaders of volunteers develop more fine-tuned skills than just about anyone else in the world of management. It would be lovely if these skills were recognized and emulated in all areas of the workplace. Need a senior manager? Look no further than your volunteer coordinator! Just discovered you Meridan, and enjoying your writing/insight/musings. It sounds like such a solid idea to have VCs eventually have the opp. to become senior management, perhaps even have it become a requirement someday (over the rainbow). Perhaps similar to the idea of “Career Day” there should be “Career Rotation Day”? One day a year everyone within a company role plays and takes on the responsibilities of their supervisors followed by an exchange of discoveries from all involved. Walk in my shoes type perspective can be amazing. Looking forward to learning from you vast experience. Thank you, Lisa. I LOVE your suggestion. We just might earn some respect if supervisors experienced our jobs, but in all seriousness, the idea that a brainstorming could come from these rotations is pure brilliance. I’m going to suggest this and see what happens. Thank you, I learn so much from other volunteer managers, really appreciate it!